Ear infections represent one of the most common childhood illnesses. Many things cause ear infections; however viral infections, bacterial infections, and allergies are the most common causes. Swelling in the nasal cavity leads to fluid becoming trapped behind the eardrum. The eustachian tube sits almost directly across from the nose of an infant and grows longer and more slanted with age. This tube connects the ear to the back of the nose and normally allows air to remain behind the eardrum. Ear infections occur in both adults and kids, but they are most common between the ages of 6 and 18 months. Infections become less frequent after age 3 and nearly resolve by age 5 because of the development of the eustachian tube. There are a wide range of symptoms associated with ear infections. The age of the child and the number of associated symptoms are important factors that physicians consider when treating patients. Many children never develop ear infections despite “known” risk factors. Physicians understand that some situations increase the chances that a child will develop recurrent ear infections. If your child is evaluated by an ENT specialist, knowing the full history is extremely important. 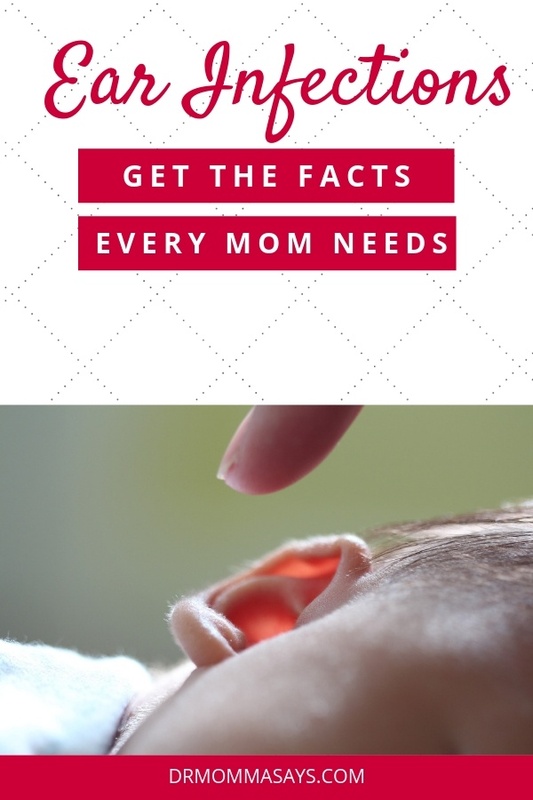 Ear infection facts are important to know because false information can be found everywhere. I have previously debunked common ear infection myths, but I now feel that sharing additional facts will benefit many parents. When parents have useful information about medical problems, they are better able to interact with their child’s physician. The following ear infection facts will help parents understand why their child’s symptoms are different from another child’s. These ear infection facts will also help understand why the treatment recommended is different from another child. To gain more detailed information, I share a discussion on my podcast about important ear infection information parents need to understand. Sometimes hearing a discussion may be more useful than reading about the facts. 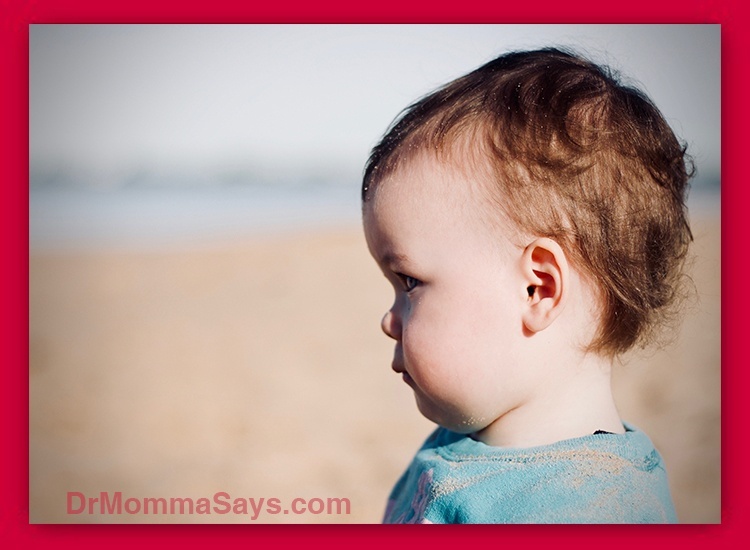 7 Ear Infection Facts Every Mom Needs to Know! All ear infections are not the same. Depending upon which part of the ear is infected, different symptoms are present. The treatments for each ear infection type is also different. Middle ear infections (called otitis media), are the most common type and occur when fluid collects behind the eardrum. These infections are caused by swelling in the nose which leads to blocking the eustachian tube. This is the type of ear infection most people are discussing when they simply say “ear infection”. Inner ear infections (called labyrinthitis) result from inflammation of the innermost part of the ear, which is covered by hard bone and contains the hearing and balance nerves. These infections are rare in kids and are usually due to viruses; however, they can also be caused by bacteria, immune system problems or an injury. The main symptom is extreme dizziness. The hearing loss that exists with middle ear fluid is a temporary loss and should not be confused with the more serious forms of hearing loss in kids. Air normally fills the middle ear, so when fluid is present, it is always abnormal. Follow up with your pediatrician until it has resolved. Children may benefit from placement of ear tubes if fluid does not resolve. Severe ear infections often show fever, ear pain, or decreased eating and sleep. Some children do not show any of these symptoms, and parents suddenly notice blood and pus leaking out of child’s ear. This is a ruptured eardrum. Eardrums can rupture repeatedly but do not typically cause any permanent damage. The rupture is a tiny hole, like a pin popping a water balloon. The hole usually heals up quickly, and if ear infections recur, another rupture may happen. Muffled sounds can lead the child to repeat sounds that were heard incorrectly. It is important to follow-up with pediatrician until fluid is gone, or it can lead to a toddler speech delay. Any long-term problems with hearing or balance in young kids could lead to sensory integration problems. Additionally, after infections have resolved, a variety of physical complications may persist. Complications such as scar tissue, a chronic hole in the eardrum, cholesteatoma, and mastoiditis are discussed in a separate blog post. I hope this post can be combined with the ones that help you debunk common ear infection myths, and understand how to reduce ear infections. My goal is to share bite-sized pieces of medical information that will help keep kids healthy! Be sure to share your new knowledge with friends, family, and acquaintances. The more people who know this information, the more children will have healthier ears. Yes this is going to help me reduce Ear infection .prevention is better than cure.i am going share this artice to my family and friends. I couldn’t agree more. When kids start to be sick, aggressively treating nasal symptoms especially with saline washes has really helped my patients. Thanks for pointing out ways to reduce ear infection.i agree its a common problem for kids as well as adult.prevention is better than cure.i will share this to my friends. SO happy to hear a doctor talk about the long-term problems that result from ear infections. My son had 11 ear infections over 26 months, 5 of them double. The pediatrician never warned me about long term problems. He was speech delayed and had sensory and proprioceptive issues. But the biggest problem he had you have not mentioned — auditory processing disorder. The most common cause of acquired APD is excessive ear infections. If I had only known, I would have had them put tubes in. Thankfully he is fully recovered thanks to listening programs, primary reflex integration and neurofeedback. But he still struggles socially from all the years he was isolated because communication was impaired. Yes, auditory processing disorders is a big problem in my patients. I see many more kids with sensory integration issues so I hit on the most common in my practice. I try to explain that having chronic unrelenting ear fluid is one problem but having an excessive number effectively means that ear fluid is present for a large part of the child’s life. I try to explain how surgery may be considered a “last option” but successfully outgrowing ear infections does not undo the long-term auditory and sensory problems. I am glad your child is better.